Ed was not quite sure he had heard right. Did John say Historical or HYSTERICAL?!?!?!?!?!?!? 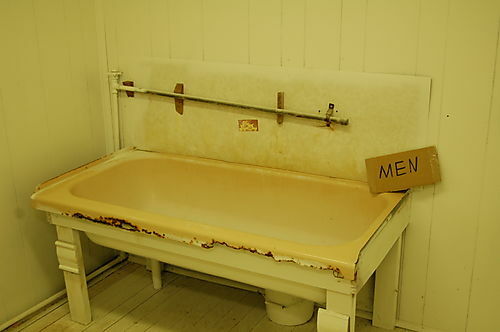 The old rusty bathtub that served as a urinal was definitely both!